Lisbon Pole Camp is the first ever pole camp in Portugal. It all started in 2013. Lisbon Pole Camp is a Pole Dance Camp in Lisbon, Portugal, that intends to be much more than just a place for learning and sharing the art of Pole Dance. It wants to unite the passion for Pole Dance with falling in love with a beautiful city! It brings you the best experience with the best professionals in a safety and fun environment. 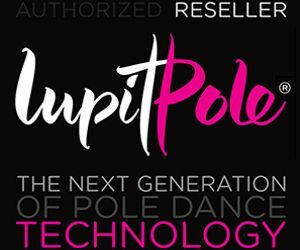 ​Pole Photo Shoot, and many more! Lisbon Pole Camp is a four days Pole Camp that wants to give an intense and inspiring experience to its participants combining vacations with Pole Dance. The participants will get to know the social and cultural life and gastronomy of the city and also learn and develop the knowledge on Pole Dance technique and its artistic side. Lisbon Pole Camp has a lot to offer besides learning from the best Pole Dancers in the world! The participants have the chance to have a unique and exciting experience doing a lot of fun activities – just to mention a few – like visiting the beautiful city of Lisbon; sightseeing along the wonderful coastline; going to the beach, swim in the beautiful sea and get a tan; taste delicious Portuguese cuisine and have a wonderful “Pole Pool Party” with a Pole Photo Shoot and healthy and vegan catering. This is the Portuguese way! – Always intense and passionate! Lisbon has a lot to offer – it’s a beautiful, historical and cultural city; known for its hot summer nights and long sunny days; it’s cheap to fly to; it’s an European capital located so close to sandy beaches it invites its visitors to combine culture, sport, bohemia, the best food, and fun by the sea; it has incredible variety of attractions and it’s a wonderful friendly city! THE LISBON POLE CAMP 2019 INSTRUCTOR Heidi Coker has been a pole artist and athlete since 2009. Her competition life started in 2010 on the national level and internationally in 2011. After winning Pole Art in 2013 she started touring as an international instructor. Her most recent title is 2018 IPC Ultimate Champion. Heidi enjoys sharing her love of pole with the world and all the lessons of life that go with it! When she’s not traveling, she resides in Atlanta, GA with her 2 sweet kitties. Carolina Ramos was born in Algarve, in the south of Portugal, and moved to Lisbon to study dance in 2001. “I have a BA of Modern Dance from Fontys Dance Academy in The Netherlands (2003) and since then I have been working as dancer, choreographer and teacher. My passion for Pole Dance starts in 2009. After a first trial class I was completely passionate about it and its potential. 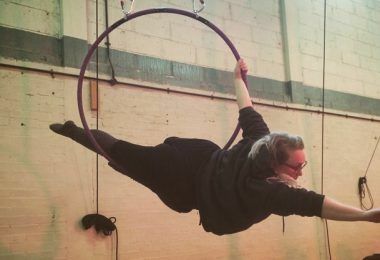 I kept taking regular classes and after two years I was invited to teach Pole Dance. I didn’t take this new job very easily; I started to research more about Pole Dance education to give the best learning experience to my students. I was at the time the first professional dancer in the pole scene in Portugal. In 2012 I had the idea of a Pole Camp in Lisbon to bring the best pole stars to teach in my beautiful city of Lisbon and unite vacations with pole. In 2013 the project came to life with the first edition and it’s been an annual event ever since. In 2015 I started my own pole project teaching different kind of classes from technique to choreography and improvisation. I organized 2 events for Pole Instructors with elevatED Training in Lisbon. I am a certified elevatED Pole Level 1 and 2. I participated also in 2 Pole competitions. I got 5th place at Pole Theatre Paris 2016, Pole Art Professional category and 3rd place at International Pole Fusion Competition in Brussels 2016. In September 2017 I opened my own pole studio in Lisbon (something I couldn’t imagine! 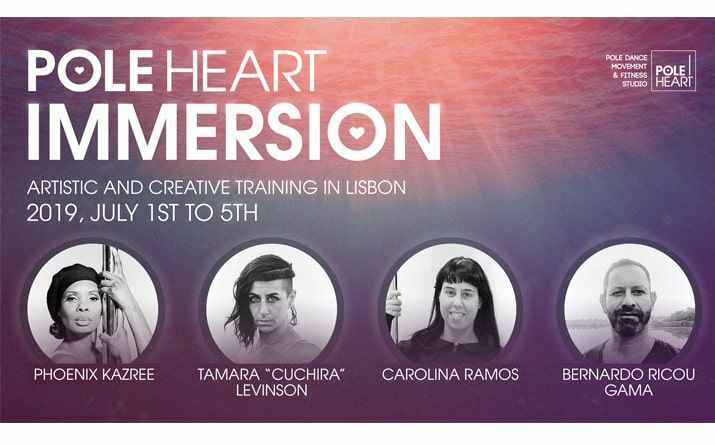 ), Pole Heart, where now the workshops for Lisbon Pole Camp take place”. If you want to do something different and unforgettable this summer uniting your passion for Pole Dance come to the Lisbon Pole Camp!